Dillon Zimmerman showing off his round 1 hardware. 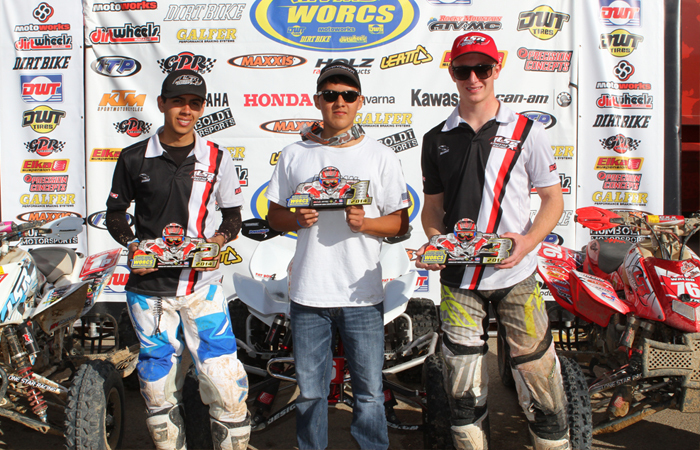 to make a statement in 2014 and they certainly came out swinging at the opening round of WORCS racing in Taft California. 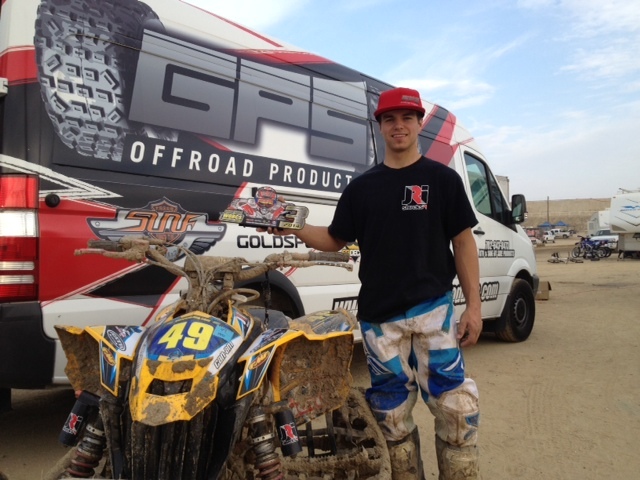 Goldspeed is supporting a handful of racers at both the amateur and professional level and saw great success throughout the weekend as a number of racers put both their tires and wheels on the podium. 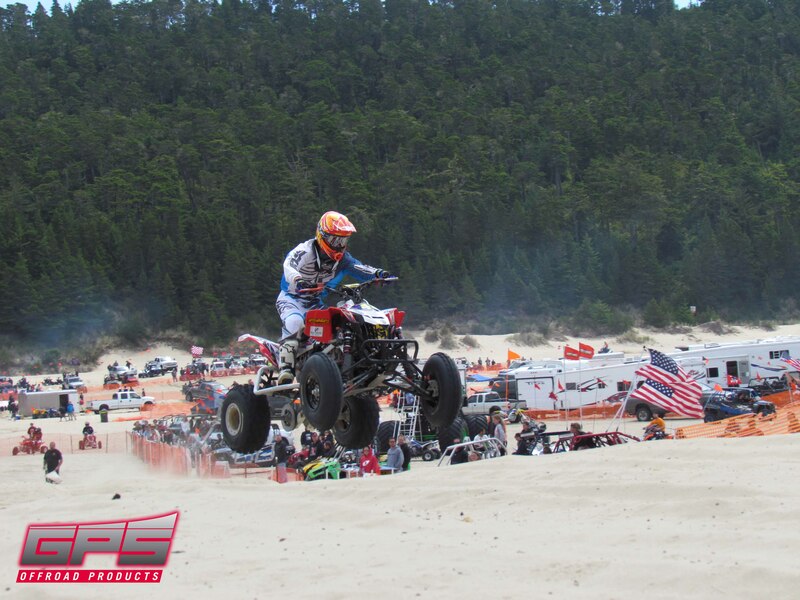 Zimmerman ended 2013 with a second place finish and has carried that momentum over to 2014. 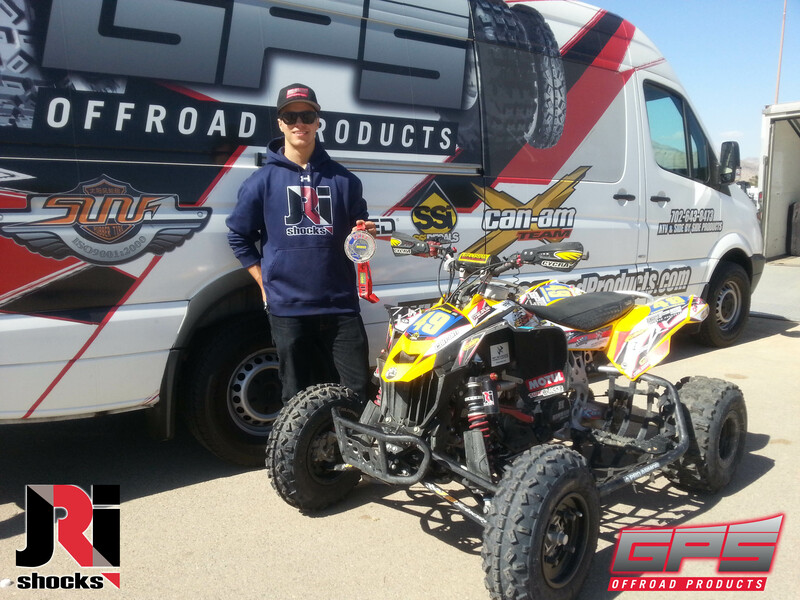 Las Vegas Nevada 10/16/13 GPS Offroad/JRi Shocks/Can-Am factory racer Dillon Zimmerman has had a roller coaster of a year. Fielding his own effort in 2013, Zimmerman battled mechanical issues, equipment failure and more than a little bad luck. Early on, it seemed small malfunctions that have never been a problem in the past began to plague the JRi Shocks backed factory Can-Am racer. 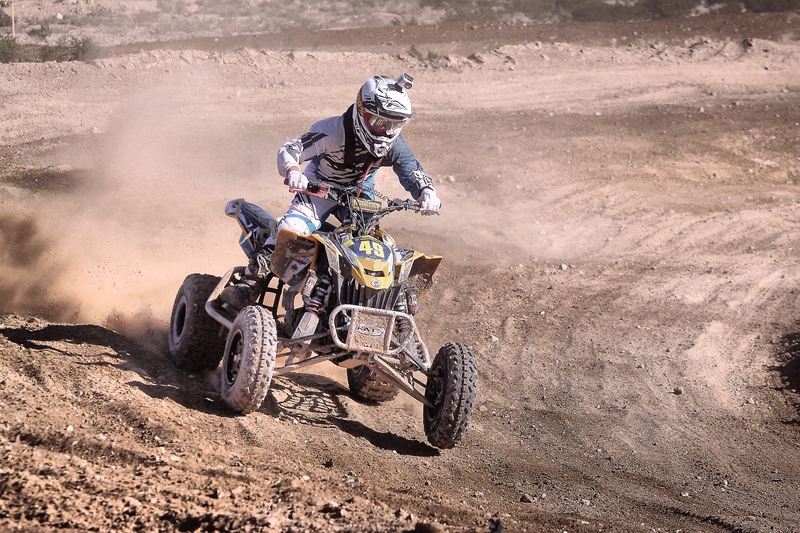 Finally, round four in St George Utah provided a ray of sunlight as Zimmerman managed a podium finish on the brutal and extremely whooped out course. 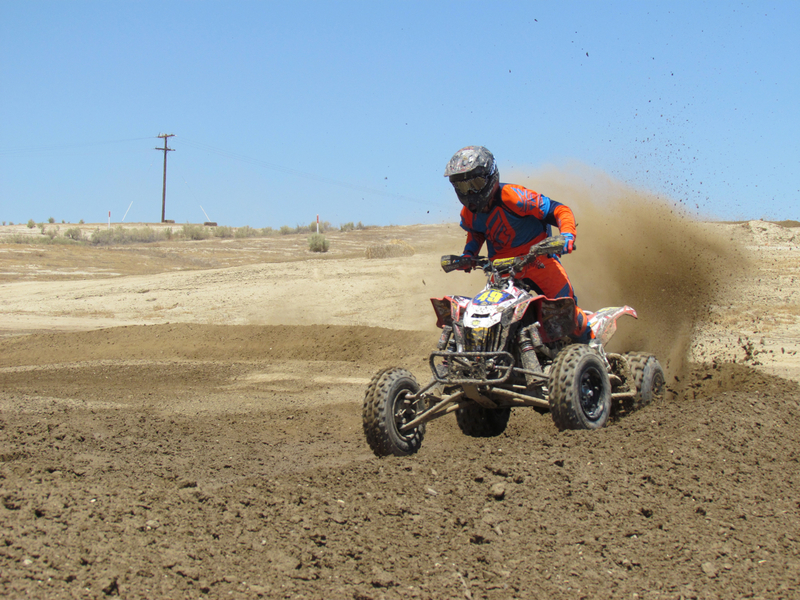 The team hoped their bad luck was behind them and it looked as though Zimmerman would score another podium finish at round five in Taft California but a torn heel-guard net nearly caused a crash and Zimmerman would have to limp to a six place finish. That seemed to be the tone for much of Zimmerman’s season. 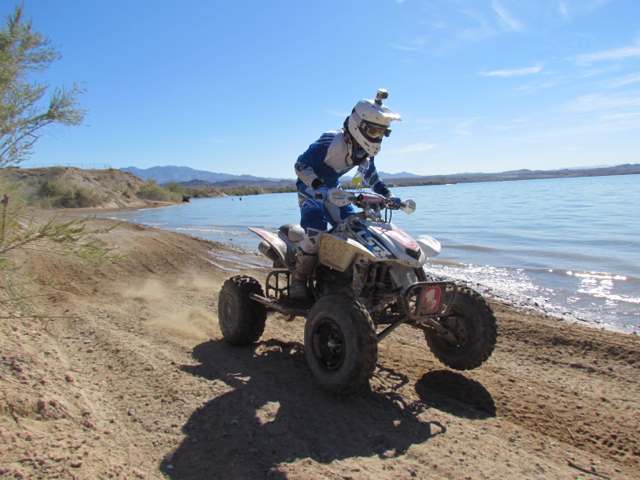 Small mechanical failures that have never been an issue in the previous five years of racing suddenly started to surface. Dillon has had some incredible luck this year. Bad luck. But he did manage to get on the podium at WORCS once so far and is determined to get back on the box before the end of the year. We’re just hoping that whatever curse is on him gets lifted so he can battle it out up top and liven up the competition. The best seasons of racing are when anyone can take the W. We caught up with Dillon and got the inside line on his season and what to expect from him. I don’t know if we could ask you questions without touching on the rough year you’ve had. It seems like race after race you’ve just had terrible luck. What’s the deal? Yes, I’ve had terrible luck this year! I wish I knew what the deal was but all my problems I’ve had this year have been small tricky problems. 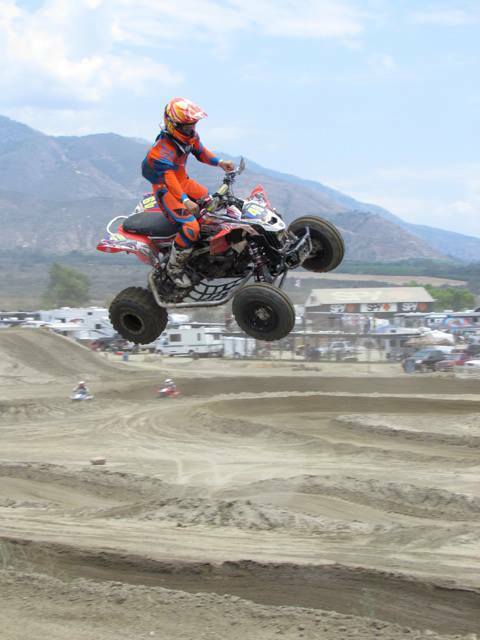 For example, this last race in Pala we had a battery issue. The bike ran great Friday and Saturday until, of course, on Sunday for the main event. The battery lost charge on the first lap. It has been a really tough year for me. It’s frustrating because I know I have the speed and I have all these great sponsors, I just need to get this bad luck away from me! Dillon Zimmerman coming through a lap at Taft. 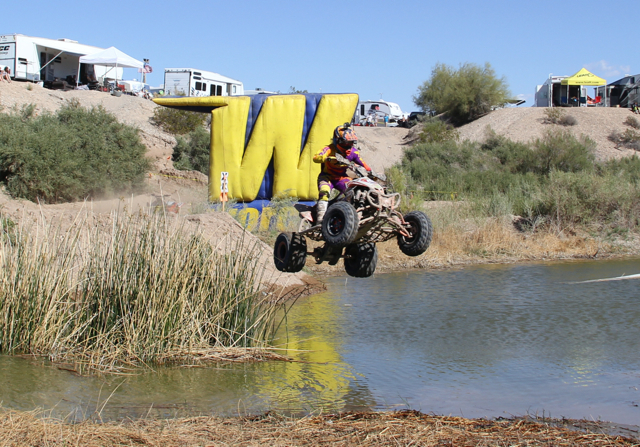 Las Vegas NV (5/15/2013) It was a bittersweet weekend for the GPS Offroad Products crew at round five of the WORCS series held in Taft California. After seemingly breaking the curse that plagued him the first three rounds, Dillon Zimmerman was eager to prove that his podium finish in Utah wasn’t a fluke and that he has the speed as well as the program to run in the top of the Pro Class.